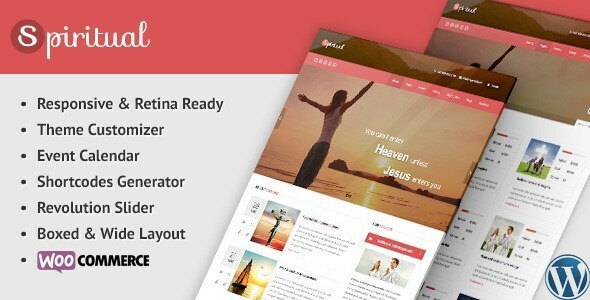 Created with churches, charities, non-profits and religious websites in mind, Adore Church is a fully functional WordPress theme based on the Twitter Bootstrap 3.2 framework. 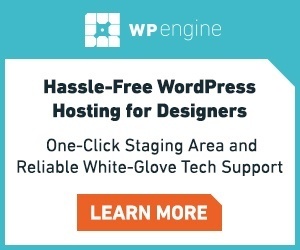 Free support is included with purchase and an HTML version is also available. 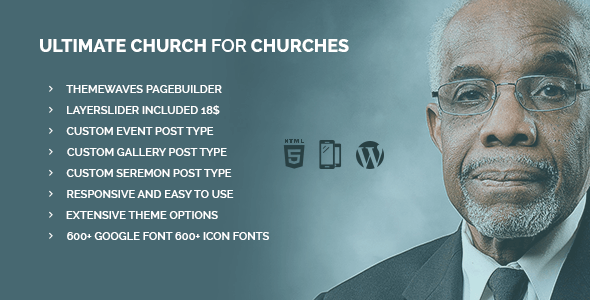 With a built in events managers plugin and a sermons manager, Adore Church has everything you need to create a new website four your church. 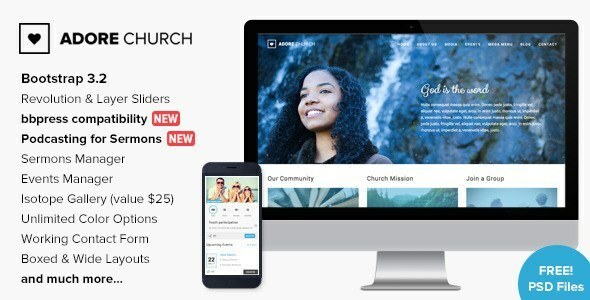 A responsive theme that’s ideal for churches and prayer groups, Our Church comes with plenty of features that are perfectly geared towards this niche market, including an event manager, sermon list and a charity donation button for non-profits. 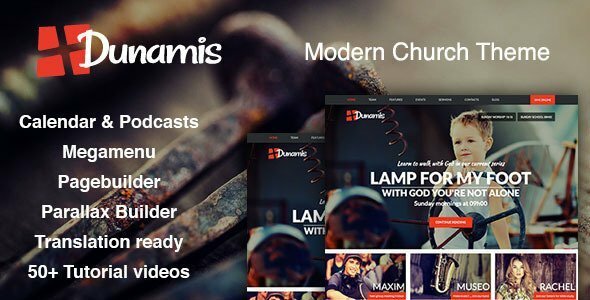 A modern church theme that’s aimed at churches and religious movements around the world, Dunamis has taken a forward thinking approach and allows site owners to utilise podcasting and blogging to reach a younger demographic. 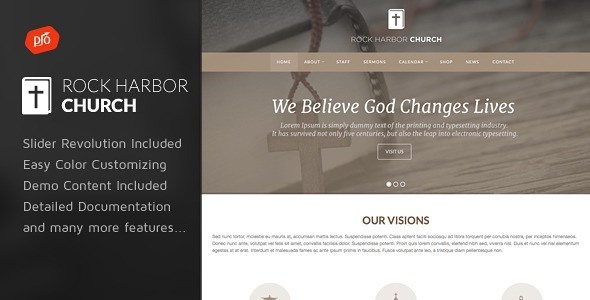 Coming with a built in slider revolution and unlimited colour schemes, you can make sure your website looks just the way you envisioned when you choose Rock Harbor as your theme. 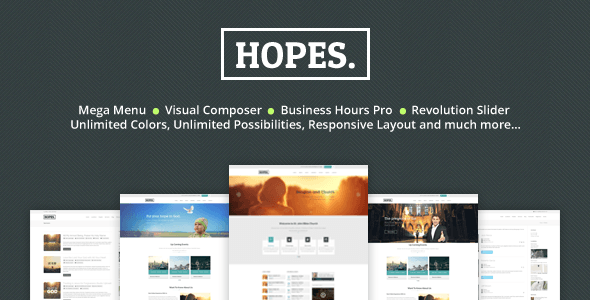 The theme comes with retina support for high resolution displays, as well as a responsive layout and video documentation to help you create your dream site. 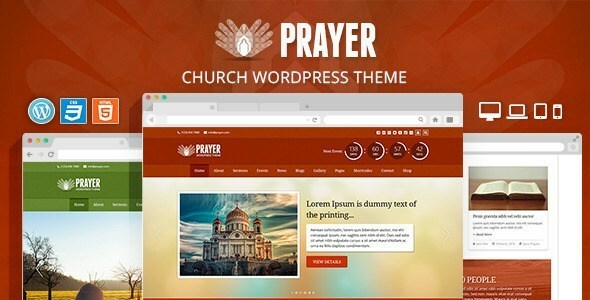 Prayer is a WordPress theme that was designed for religious and charity organisations, as well as churches. 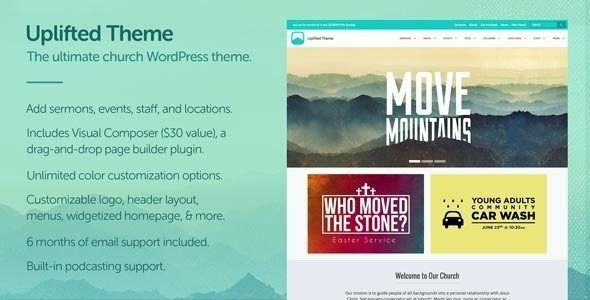 The main features of theme include an events calendar and management so your congregation can easily find service times, as well as a community-driven prayer wall and a WooCommerce store. 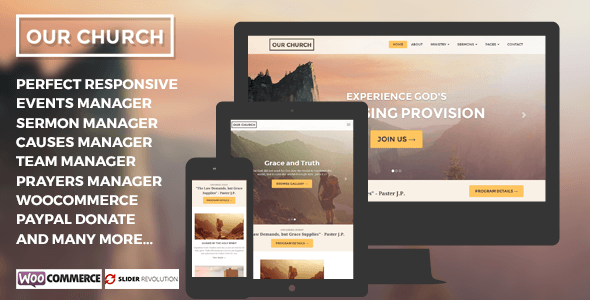 Billed by the developers as having ‘all the features you need for a church and religious related theme with amazing functionality’, Hopes comes with plugins like Revolution Slider and Visual Composer. 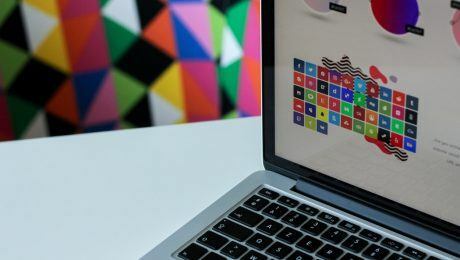 The theme is SEO optimised to help boost your search engine ranking and comprehensive documentation is included so you can have your site up and running in no time. 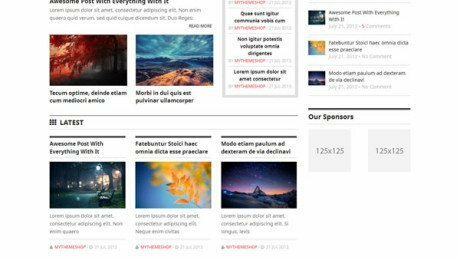 FellowShip is described as an easy to use theme that offers complete customisation, with layout, colours and style all able to be changed to whatever you need. 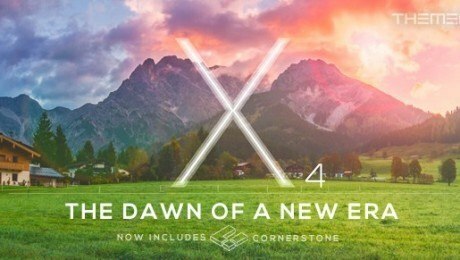 The flexibility of the theme lends itself well to unique religious sites that want to fulfil numerous purposes, including blogging, sermons and event management.